There are two main types of blood thinners. Anticoagulants such as heparin or warfarin (also called Coumadin) slow down your body's process of making clots. 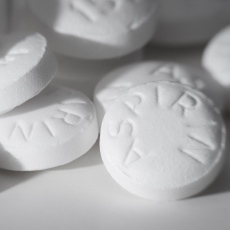 Antiplatelet drugs, such as aspirin, prevent blood cells called platelets from clumping together to form a clot. When you take a blood thinner, follow directions carefully. Blood thinners may interact with certain foods, medicines, vitamins, and alcohol. Make sure that your healthcare provider knows all of the medicines and supplements you are using. You will probably need regular blood tests to check how well your blood is clotting. It is important to make sure that you're taking enough medicine to prevent clots, but not so much that it causes bleeding.